More logs have been recovered from the last few weeks. See below. Data Log Recovery Complete > ..
After passing by the PW2010 Supercluster (NGC 6618), a cluster of stars directly next to the Omega Nebula I jumped into Omega Sector VE-Q b5-15, the home of Omega Mining Operation a station that is built into an asteroid, right in the middle of a planetary ring. I could soon get out of my ship and walk around giving my legs a much-needed stretch. Immediately I could see that the system was busy, a strange sight to see so many commanders on the radar after being alone for a week and knowing that we are now over 5,500 light years from sol. I had been warned about pirate activity in the area by fleet command but had no issues supercrusing over to Planet 7's rings and starting my approach. Exiting out of SC I was greeted by my old friends. Dark asteroids littered my whole view with the station only visible from the lights of the entrance and the ships buzzing about in front of it. Docking permission granted, I landed on pad 11, and after securing the ship, I exited through the airlock gates into the station in search of the bar. The station was packed full of what must have been thousands of commanders, all looking weary and tired, with an undeniable smell of the unwashed. Spirits were very high though, people shaking hands and laughing, we'd only reached the first waypoint but there was still a feeling of accomplishment in the air. I soon found the bar, as had everyone else. I ended up sitting on the floor, as all the chairs were taken, next to a middle-aged man with a grey beard. He got chatting to me about science and all the data that could be collected during the expedition. The conversation soon led onto all the events in the past that had ended up swaying me to change the direction in my life; such as the unidentified artefacts, the Thargoids, etc. Low and behold he was a member of Canonn the organisation I'd seen on the Galnet feeds and read about. After several drinks and long conversations about Raxxla and the mysteries of The Dark Wheel he gave me the details and contacts needed to start as a recruit with them. As of Today I am a member of Canonn, I even have the Canonn decals on my ship. I have my orders in terms of gathering and feeding back data to the Canonn Gnosis Megaship for analysis and I will now do so as part of this expedition. 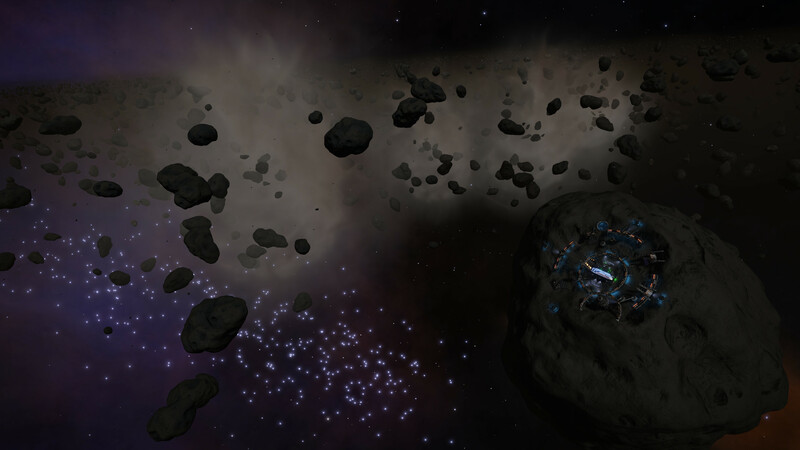 As for the mining, after initiating a transfer of all my mining gear to this station and refitting my ship with it, I am all set and ready to get back to my bread and butter and start cracking some rocks. It's going to be a long week but the mining crews that have come along seem very dedicated, the prospectors have already identified suitable hotspots and rings in the local area. I’m back on the ship now with an early start tomorrow. One more glass of this Lavian Brandy, I deserve it.